1. 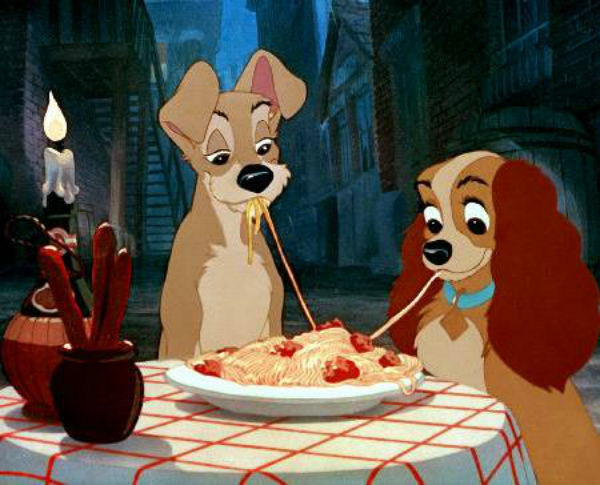 Lady and the Tramp walk their "pets"
Lady and the Tramp had some classic scenes, including the famous "spaghetti kiss," but it's plain to see why this one wound up on the cutting room floor. Tramp imagines dogs "turning the tables" on their owners with a scene of dogs "walking" their human pets in the park in this deleted scene. Even as a cartoon, the scene is just as creepy and strange as it sounds, which is exactly why it was cut out of the movie. It's definitely uncomfortable watching some fella "go" during his walk in the human park. But somehow the cat scene still made it in? While it's not exactly Game of Thrones, Disney's fantasy adventure The Black Cauldron was pretty intense for a kids movie when it was released in 1985. But it was almost much worse. Parents ran out of test screenings carrying crying children, and as much as 12 minutes of the original film was cut before it hit theaters. 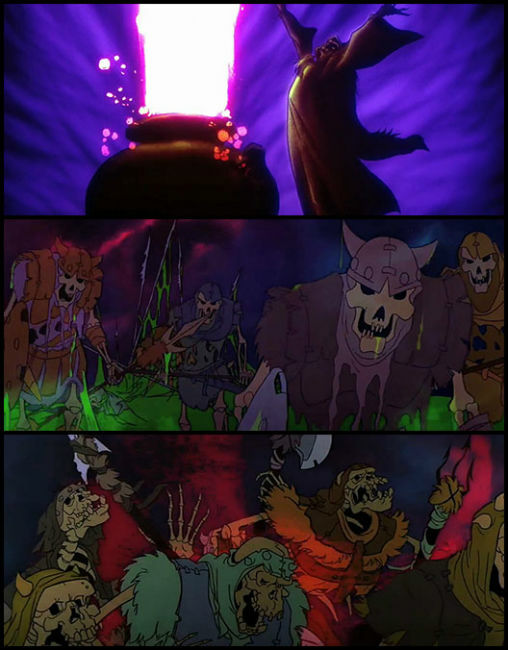 Some of the deleted scenes include the evil Horned King's "Cauldron Born" soldiers slicing open their enemies, and a particularly gruesome shot of them being dissolved at the end of the movie. It definitely doesn't sound very "Disney." 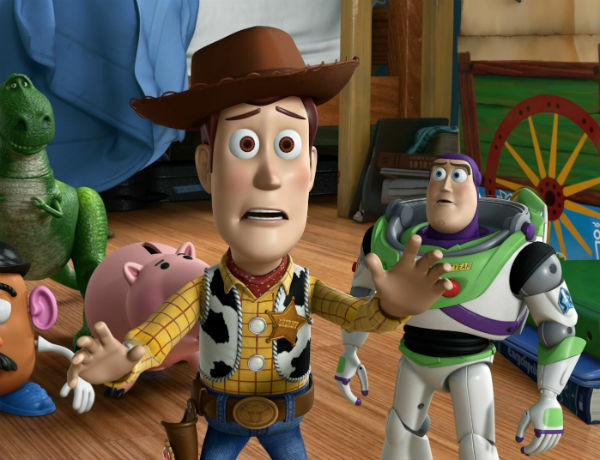 Woody was already a bit of a jerk in Toy Story, but he had his reasons for being wary of Buzz and his antics. But it turns out the character was meant to be much more menacing. 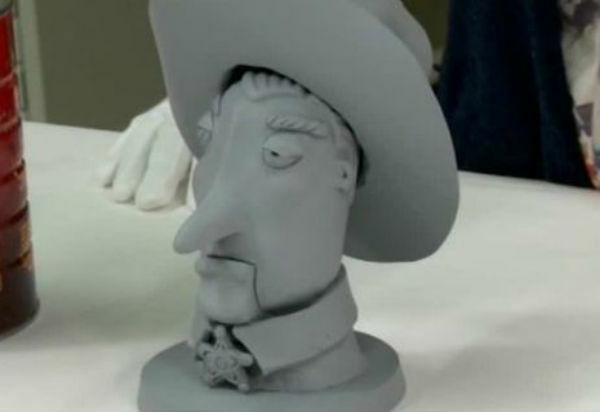 The original design for Woody was as a Howdy Doody style puppet, complete with a creepy stare. The puppet was meant to be a jealous leader of the toys who was overthrown by the rest of the gang at the movie's climax. Disney higher-ups reportedly hated the story and thought the puppet look was creepy (they were right). In the end, we're glad that Woody got his makeover. When songwriter Alan Menken was working on "I Won't Say," Meg's standout song in Hercules, he had a very popular girl group in mind to play the Muses. The Spice Girls were meant to back up Susan Egan during the number, but unfortunately scheduling conflicts made the collaboration impossible. I won't say that's a completely bad thing, because the voice actors behind the movie's Greek chorus did an awesome job. It's hard to imagine Posh, Scary, and the rest of the girls could even measure up. Animators working on character design for Aladdin originally drew the main character to look like an Arabian Michael J. Fox, before Disney execs changed their direction. Animators were told to "hunk Aladdin up," which explains why he's missing his shirt for the entire movie. In an even stranger twist, the new face the animators settled on was Tom Cruise's. They apparently pinned a photo of his "straight-off-the-forehead-nose" to their bulletin board for months. Can you see the resemblance? 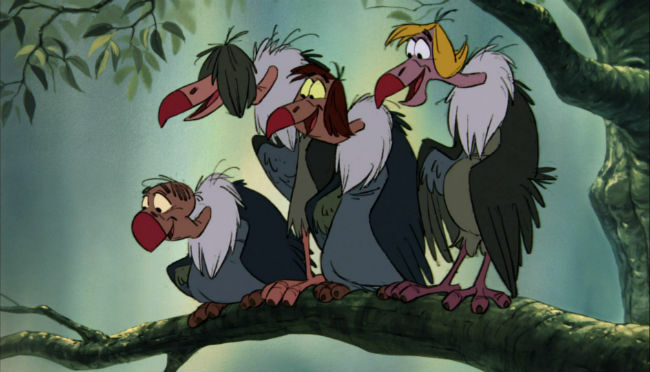 If you've re-watched Disney's 1960s classic recently, you probably noticed a resemblance between the quartet of vultures and four famous guys from Liverpool. The Beatles were actually in talks to play these characters, before one of them had a change of heart. "John was running the show at the time," said composer Richard Sherman, "and he said [dismissively] 'I don’t wanna do an animated film.' Three years later they did Yellow Submarine, so you can see how things change." 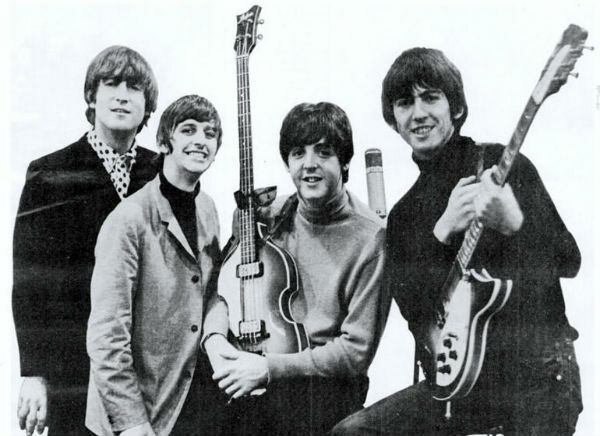 The Beatles-inspired designs were left in the film anyways. This was just on of the many film projects the Beatles almost embarked on, including an adaptation of The Lord of the Rings. Animated films take years to make, which means there are lots of stops and starts where ideas are suggested, rejected, then re-tooled. 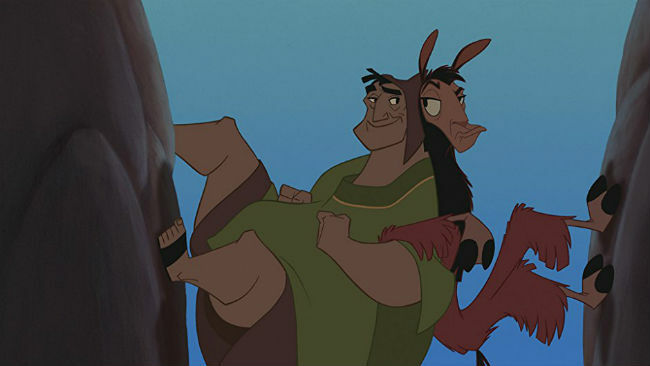 But before The Emperor's New Groove was hashed out, it came close to being an entirely different movie called Kingdom of the Sun. David Spade and Owen Wilson were set to star in a Prince and the Pauper-style tale about a llama herder who poses as the emperor. Sting had recorded original songs and a rough cut was completed before Disney executives told the animators to start from scratch. The peddler who appears in the opening scene of Aladdin has attracted a lot of attention from fans of the movie. His lines were ad libbed by Robin Williams, but a resemblance between Genie and the Peddler is what caught everyone's eye. The vendor only has four fingers, just like the genie. In 2015, the movie's directors confirmed what fans had guessed for years: at the end of the movie the peddler was supposed to reveal to the audience that he was Genie in disguise. Editing changes scrapped the reveal, but it definitely adds something to the scene when you re-watch Aladdin. This is another case where the long production time on an animated film resulted in some big changes. The unique idea behind Monsters Inc. - a world of ghoulies who use children's scream to power everything - wasn't the first plot the film's writers came up with. 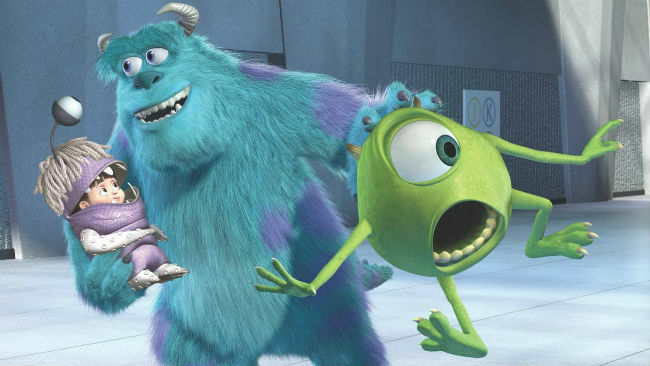 As director and writer Pete Docter explains, the movie originally followed a mild-mannered 30-year-old adult who starts to see monsters. “And nobody else can see them," Docter explains. "He thinks he’s starting to go crazy, they follow him to his job, and on his dates." In the end, the man discovers that the monsters are his childhood fears, and they go away after he faces them. It definitely doesn't sound as fun as the final product turned out to be. 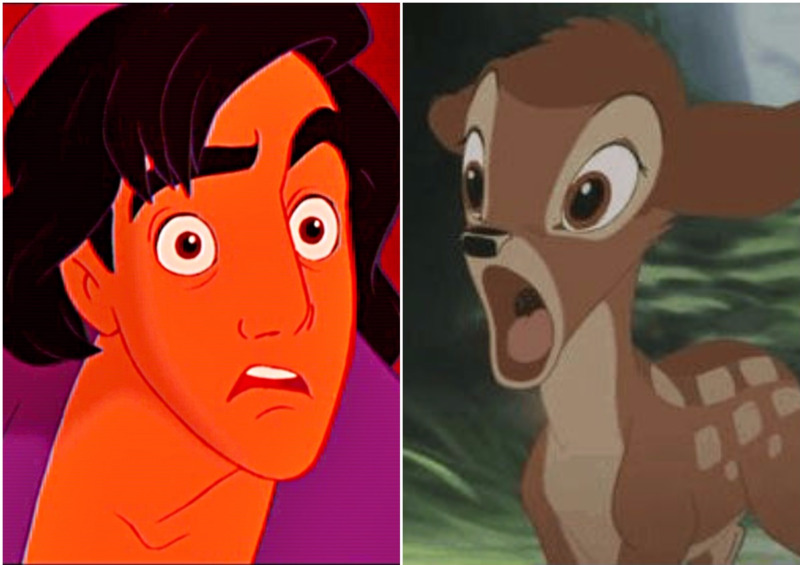 As if watching Bambi's mom die wasn't traumatizing enough for a generation of kids, Disney's animators actually had something worse in mind. 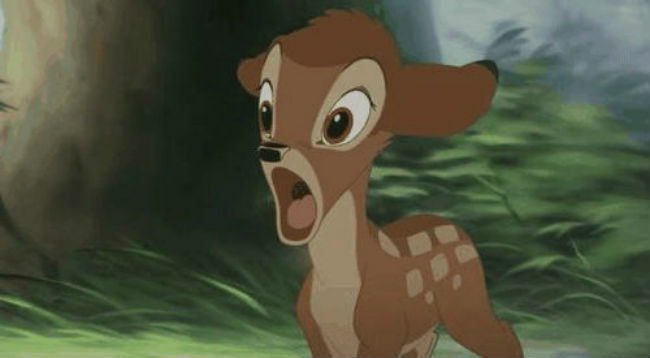 Originally, Bambi was meant to watch as a hunter dragged his mom's body away, leaving a pool of blood. Luckily, everyone involve realized this would seriously mess kids up, and settled for being just a little disturbing instead. 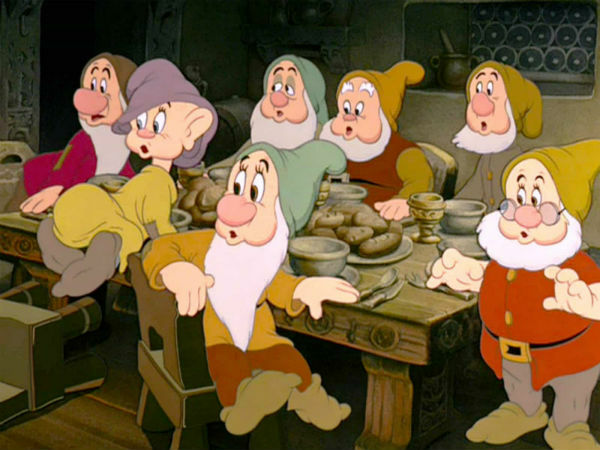 The original fairy tale didn't include handy, personalized names for all the dwarfs that Snow White lived with. 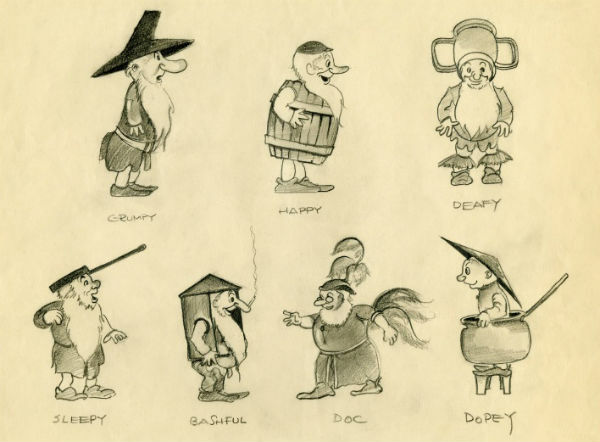 Before Disney landed on the seven classic names that we know and love, animators suggested dozens of questionable ones. Hickey, Dirty, Dumpy, Wheezy, Baldy and Tubby were all in the running. The worst suggestion of all was probably Deafy. "Deafy will pick up one word of the conversation in the early part," rough notes said, "and whereas the conversation topic might have changed completely, he still sticks to the first thing that he heard.” That's something you probably can't get away with today. 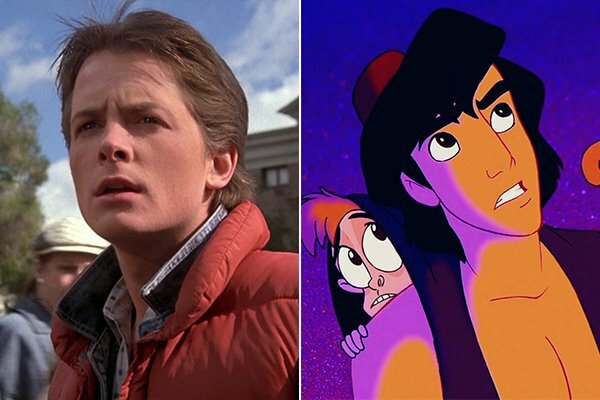 Share this list if you grew up watching Disney movies!